Bright Futures Grain Valley is a community network of committed partners working together to address the basic needs of any student – often within 24 hours. The Bright Futures model brings together businesses, faith-based organizations, civic organizations, local government, and parent groups for the benefit of the youth in our community. This enables students and teachers to focus on education and achieving success. Bright Futures Grain Valley works to create an environment where education is valued and responsibility for student success is shared. Bright Futures operates under the belief that when a community invests its time, talent, and treasure into its schools, students are more likely to stay in school through graduation, have a higher degree of self-worth and confidence, and set and reach goals for the future. In turn, these students grow up to be better neighbors, quality employees, and impactful leaders in their communities. Join our Response Army by following Bright Futures Grain Valley on Facebook. Watch for efforts by these Bright Futures community partners to respond to the needs of young people in our community. When you give time, talent, or treasure to these organizations, you help Grain Valley’s children. Giving The Basics provides the necessities of life, not covered by government assistance programs that most people take for granted such as laundry soap, shampoo, deodorant, toilet paper and other personal care hygiene products. 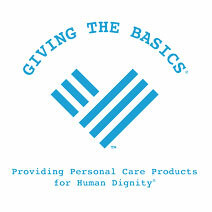 Grain Valley Schools has partnered with Giving The Basics to provide personal care products to students and families in our district on a case by case need. These products help children attend school feeling fresh so they feel comfortable in the learning environment and they assure adults have the dignity they need so they can gain employment. If your Grain Valley Schools family is in need of help with personal care products, please email Bright Futures Grain Valley, or contact your child’s school counselor.